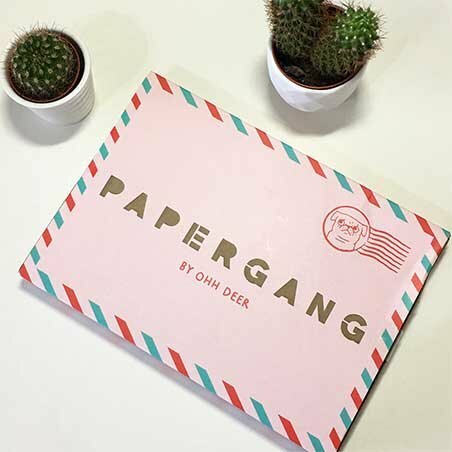 Papergang is Ohh Deer's way of expressing a deep rooted obsession with papery goodness. 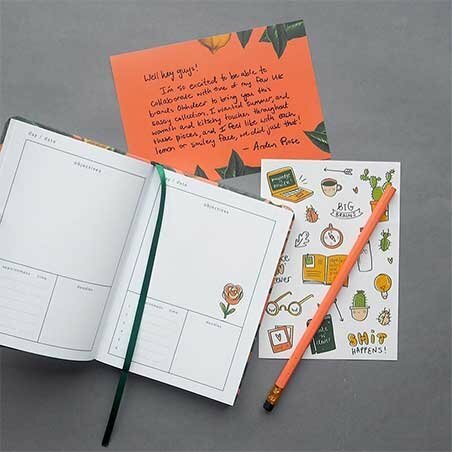 Each month you will receive a box filled with brilliant stationery. 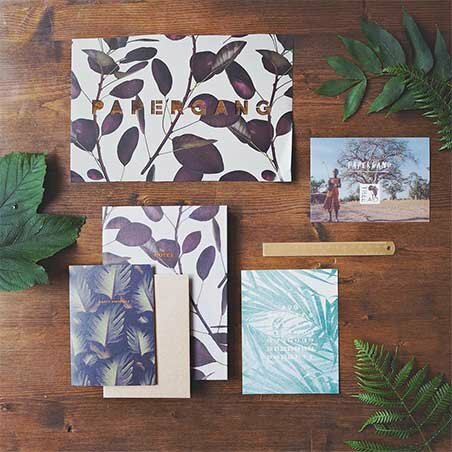 The product selection will vary but will include the likes of: greeting cards, notebooks, desk accessories and art prints. You will never get a repeat box; each month will be designed with an artist and a theme so all of your new accessories make a lovely family. Almost all products will be exclusive to Papergang for a period of time before it goes on sale in Ohh Deer's shop. Unfortunately we don’t offer student discount on our subscription boxes. Yes you can! If you opt to gift Papergang to someone ensure the shipping address is theirs and not your own. 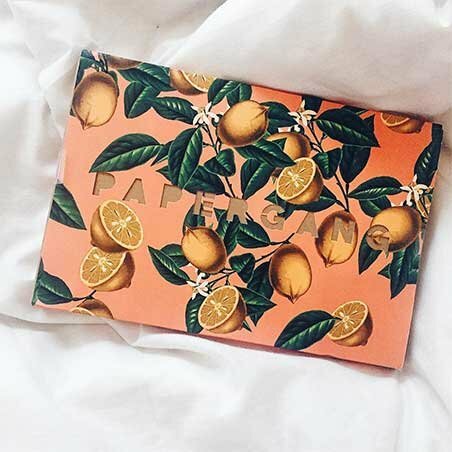 If you’d like to turn auto renewal off or let the lucky recipient know they’ve got a box on the way tick ‘This is a gift’ on the checkout page. Enter the recipient's name and email (if you want them to be notified) and if you’d like auto renewal turned off make sure ‘Automatically renew this subscription’ is un-ticked (tick this if you want it to renew at the end of each term). I've missed the deadline for this months box; Can I still receive this months box? Unfortunately if you’ve missed this month's deadline we won’t be able to offer you one due to limited stock. However we'll have more papery goodness for next month and you'll be able to start subscribing to next month’s box straight after the previous months box goes out (You can start subscribing to next month's box during the last ten days of this month). We sell previous boxes and items from previous boxes over at Ohh Deer shop after the subscription has been posted, so if you desperately wanted one of the products or a box you might be able to still grab them! We accept Visa, Mastercard, Maestro, Discover, JCB, Amex, Diners Club and PayPal. Please make sure you have sufficient funds available in your acccount, if so then your bank may be rejecting the payment to us, if this is the case you'll need to give your bank a ring and ask them to authorise the payment to us. If this doesn't work get in touch with us here. When will my payment method be billed each month? Your card (or PayPal Account) will be billed on the first of each month (or the first working day should that date fall on a weekend or public holiday). If you prepay for your box for 3, 6 or 12 months you will pay upfront for the cost however upon expiry of your subscription you will then be billed on the first of your new renewal month. To prevent your subscription from auto renewing make sure you cancel your subscription by the 1st of the month. For example if I bought a box in April and did not want it to renew in May, make sure to cancel your subscription by the 1st of May. Cancelling your subscription does not affect your current months boxes. Please also see 'Can I cancel my subscription?'. We're sorry to hear that your subscription auto renewed, if you'd like to request a refund get in touch with us here. Please also see 'How do I prevent my subscription from auto renewing?'. HOW DO YOU WORK OUT THE CURRENCY EXCHANGE RATE? We use a 3rd party system that checks the latest forex rates everyday to give you an accurate as possible converted price for your local currency so you know how much you’ll be spending. All prices are approximate as a result of how much exchange rates can fluctuate. All purchases from papergang.ohhdeer.com are billed in GBP (£), local currency prices are shown as an approximation only and purchases will not be billed in these currencies. 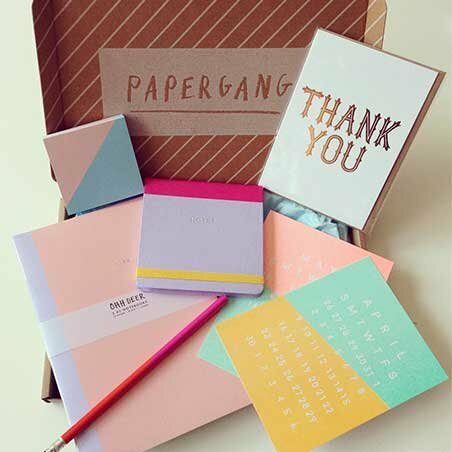 You’ll get a free box for every 2 friends you refer to papergang, the best part it there's no limit, refer 2 friends and then another 2 and you’ll keep getting boxes for free. You’ll need an account with us to start referring friends (this means you’ll need to have purchased a subscription with us previously, if you don’t have one get one now here). If you’ve got an account with us already login here. Once logged in you’ll see the ‘Refer a friend progress tracker’ this tracks your progress towards your referrals. Click on the ‘Refer More Friends’ button. You can now invite your friends via Email, share your link on Facebook or Twitter or just send them your direct referral link (which is connected to your account). Remember that your friends must follow your referral link and purchase at least one subscription (either a month to month, 3, 6 or 12 month prepay) for you to receive your referral. You’ll receive an email for each referral you get and when you reach the referral goal of 2 people. Please Note: Adblocker Software may prevent your referrals from being registered due to the way adblocker blocks some cookies, to avoid this happening please ensure Adblocker is not running on ohhdeer.com or papergang.ohhdeer.com or is disabled completely. What is the refer a friend progress tracker? The refer a friend progress tracker will help you track your referrals and progress towards a free papergang box. The refer a friend progress tracker can be found on your account homepage when you’re logged in, to login click here. Each time you receive a referral drew will light up (and smile), once you’ve got two both drews will light up (and will both smile) and you’ll see a message confirming your next box will be free. You’ll receive an email each time you get a referral and each time you reach the goal and receive a free box. Free boxes are automatically added to your account (you must have an active subscription on papergang for this to automatically be added, if not get in touch with us here and we’ll ensure you receive the box), the free box is 100% free and does not require shipping to be purchased. Once you’ve reached 2 referrals you can carry on referring more friends, there are no maximum referral limits, as soon as you refer another person the referral tracker will reset again. What should I do if I don't receive my free box or if there is another problem? - You’ve not got an active subscription on your account, in order for the free box to be automatically applied you need an active subscription on your account. - You’ve got a prepaid subscription, boxes will automatically be added onto your prepaid subscription at the end for example if you’ve got a 12 month subscription and your 3 months in and meet the referral goal you free box will be added to the end of your subscription and you’ll receive it after the 12 months are up (on month 13 in this example). - Your friends did not follow your referral link, they must follow your referral link in order for the referrals to count. - You’ve not met the referral goal, you need to refer 2 friends in order to receive a free box, when you do this you’ll get an email confirming this. If any of the above are true or you need help getting your free box get in touch with us here. Yes you can have as many subscriptions on your account as you want. These can all be managed easily within your account. You can change most things on your subscription by simply logging into your account and editing accordingly. To cancel your subscription please contact our lovely customer service team either via phone 01509 812075 or via email [email protected]. Customer service are available Monday to Friday (excluding bank holidays), 9am - 5pm (GMT). To help speed things up please quote your subscription number, you can find this in your order confirmation email or within your account here. Yes, all our subscriptions automatically renew (excluding gift subscriptions where you've chosen to not auto-renew) on the first of every month, this way you don't have to go through the trouble of manually paying each month. Please Note: Prepaid subscriptions will also renew in the same way however instead of every month it will be either every 3, 6 or 12 months. Prepay subscriptions renew for same amount of time you prepaid for (e.g a 6 month prepay will renew for another 6 months). Simply login in to your account and under ‘Your Subscriptions’ your previously cancelled subscriptions will appear, click re-activate and your chosen subscription will then be reactivated and subscribed to the next available subscription box, if you need any further assistance with this please get in touch with us here. Alternatively you can sign up for a new subscription here. I've changed my mind about a box after I've skipped it, What do I do? Unfortunately once a box has been skipped the system will not allow you to un skip that particular edition, the only way around this would be to open a brand new subscription and start again if you’d really like that particular month’s box which was skipped initially. We ship to 26 countries, want to see if you are on the list? We successfully ship our subscription boxes to the following destinations, prices and transit times do vary. For more information please click here to shipping. How much does shipping cost per box? Shipping to the UK will cost £2.95 per subscription box, for international shipping rates please click here. Papergang is dispatched within the first 10 working days (Mon - Fri) of each month, once successfully shipped you will receive a notification email to advise it's on the way. This means when your subscription successfully renews and payment is taken on the 1st of the month your box will be sent almost immediately. If ordering between the 1st and the cut-off date on the home page, your box will be processed within our normal processing time of 1-3 working days. Please see our shipping rates for more information on transit time to expect by clicking here, these are only estimates and deliveries may take longer than advertised. You can, however you will need to return the box that has already been shipped to us when it arrives in order to get a refund on it. It needs to be returned in the condition it was shipped in. We will accept refunds 30 days after the transaction was taken. We're sorry something has become damaged, please get in touch with us here and we'll get it sorted for you as soon as possible. We're sorry that something is missing from your box, get in touch with us here and we'll get it sorted for you as soon as possible. Once your box has been shipped you will be advised via an email notification that this is on its way, upon dispatch from the warehouse they will be subject to our shipping estimates which can be found here. Please note that these shipping times are only estimates and may sometimes take longer to arrive. If the estimated time has passed, then please get in touch with us here. "Finally found a subscription box that speaks to me! 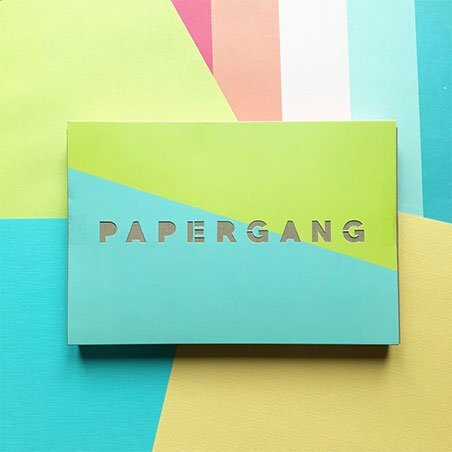 Happy to be a part of #papergang @ohh_deer "
"Got my first #Papergang box and it is so beautiful I squealed. Stationery is just so good." "Look what arrived today! 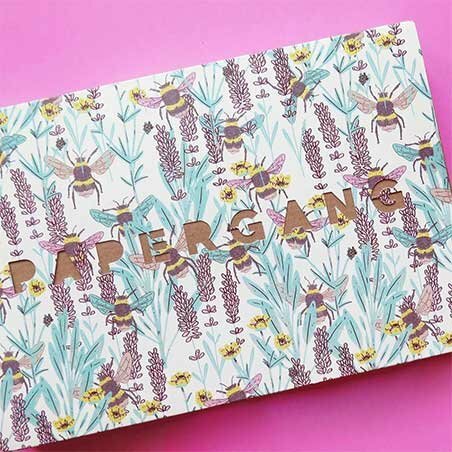 @ohh_deer it's #Papergang box time, the best time of the month!! " "Never fails to brighten my month. 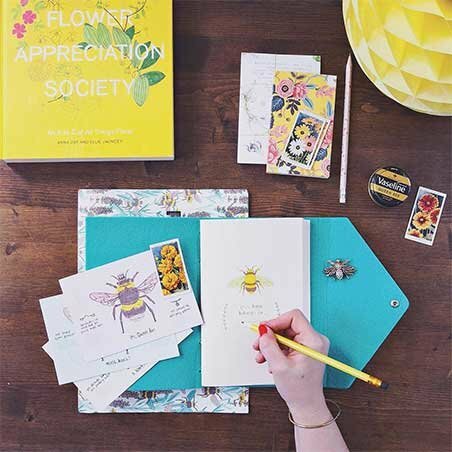 "I'm six months into #papergang and I'm so happy to be surrounded by so much pretty stationery goodies"